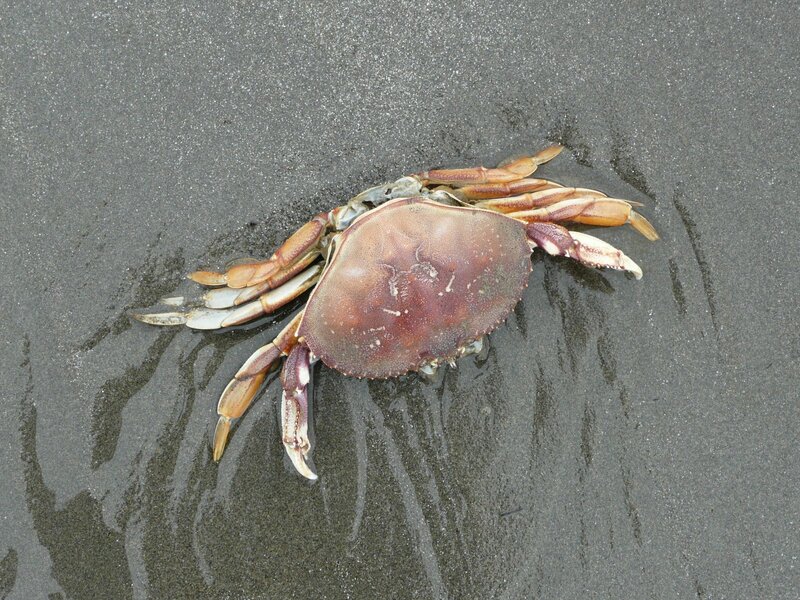 I have been so crabby lately. I even bought a funky rubber crab stamp to use on my students’ work. This was in hopes that I would realize my attitude at school and try to improve it right then and there. It is a source of humor for me and it does help keep things in perspective. The crab photo is from my summer trip to Seattle. Seattle was an excellent vacation – good to see family and reconnect with them, but also good for reconnecting with art. 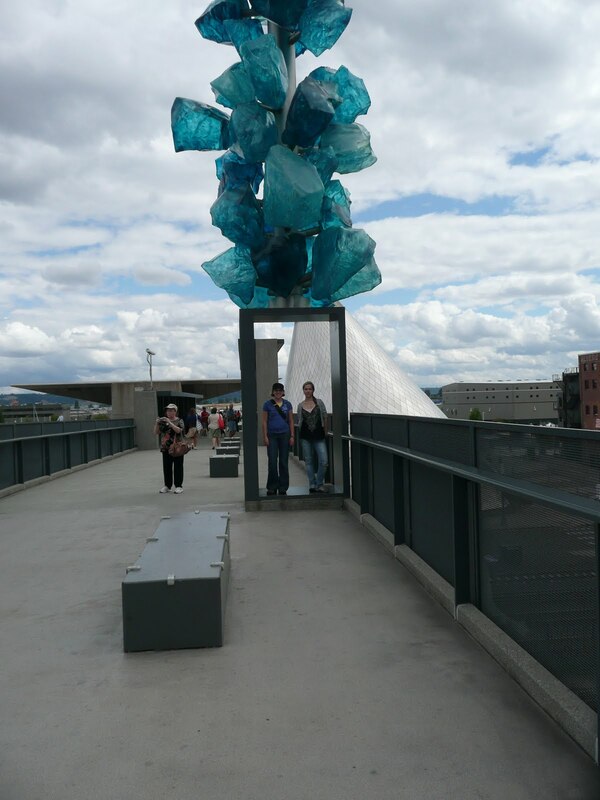 We went to the Museum of Glass in Tacoma, WA. The Hot Shop was incredible and I will be teaching this to my students, I look forward to researching this even more. Outside the Museum of Glass with my cousin. The tall silver cone in the background is the Hot Shop where the artist blow glass in front of an audience seated much like they are watching a play. 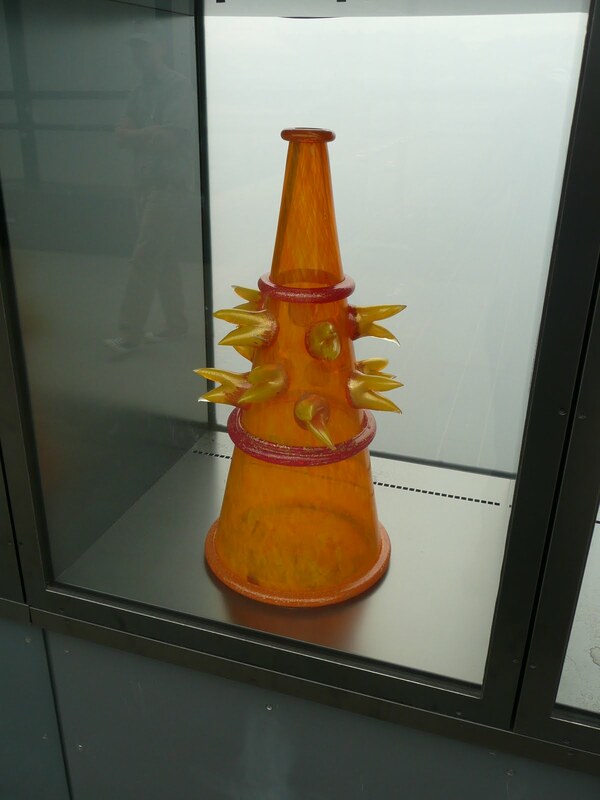 A fun piece of glass on the walkway into the Museum of Glass. I am so drawn to the color orange, I wonder why?